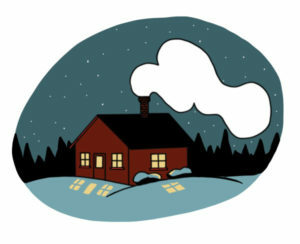 Any old Maine house worth its salt will contain a minimum of two heating systems, because no self-respecting Yankee would discard a perfectly good, broken furnace. In special cases, a house will contain the full suite of perfectly good obsolete technologies, from the original fireplace, to a century-old coal furnace, a mid-century oil boiler, an airtight woodstove from the 1970s, and some electric baseboards or a hospital-beige kerosene heater from the 1980s. It’s good to have options. So where are we headed now? What’s the next latest, greatest thing? Propane gas may be riding the coattails of natural gas, which has recently become popular in more populous areas of the state. New natural gas boilers can be small, quiet, and dazzlingly efficient. 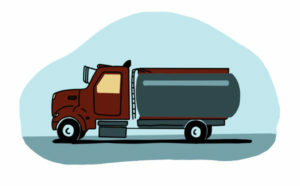 Although propane boilers can be too, that fuel has to be hand-delivered to your house. Additionally, a winter’s worth of propane costs even more than old-fashioned oil. Not that oil is old fashioned in Maine. While the rest of the nation has largely abandoned oil heat in the past 50 years, two-thirds of Maine homes still rely on it, consuming an average of 900 gallons per house, per year. And, frankly, the same can be said of wood. Maine is second only to Vermont in its reliance on ye olde woodstove. In short, the state’s heating landscape is eerily unchanged since the mid-century. But electric-powered heat pumps may break the spell. 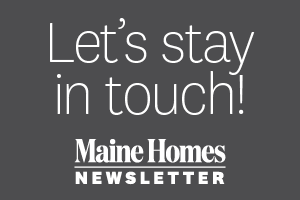 Efficiency Maine — the state’s administrator for energy efficiency programs — tracks the popularity of heating systems by the rebates people apply for: Heat pumps are beating forced–hot-water boilers six-to-one. Electric heat earned a ghastly reputation in the 1980s after electric rates drove heating bills through the roof. But the real “fuel” for a heat pump is outdoor air. Even the coldest of January air contains heat, and heat pumps concentrate that warmth and transport it indoors. 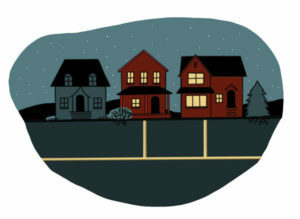 Although heat pumps (like most systems) may struggle to keep a leaky old house at 70 degrees on a particularly frigid night, the technology continues to improve. And anyway, that’s why you keep an old woodstove in the basement. It’s almost perfectly good, and it’s nice to have options. So how does your fuel stack up in terms of cost, efficiency, and environmental impact? Consult our primer to determine where you stand and if it might be time to make a switch. Nationwide, oil displaced coal and wood in the early 1900s. Unlike coal, which homeowners had to shovel into the boiler at regular intervals, oil could feed itself into the boiler for weeks, supervised only by a thermostat. While natural gas has conquered much of the country, Maine’s rural character has helped to keep oil in command. (Running gas pipelines to remote areas doesn’t make logistical or financial sense.) As a result, the distribution system is excellent, the boilers are cheap, and when something breaks, there’s someone nearby who can fix it. Pros: Low cost to install. Supported by plentiful oil dealers and technicians. Cons: Price fluctuates. Fossil fuel. Big carbon footprint. Ways to Save: $500 rebate, and financing, through Efficiency Maine. Also, plan to fill your tank in the summer when oil prices are lower. When natural gas heat gained traction in the mid-1900s, installing the buried pipelines paid off quickest in densely populated urban areas. Natural gas heats about half the homes in the nation now. But it fuels only 5 percent of Maine residences. Where natural gas is available, super-efficient gas boilers have become very popular. These direct-vent boxes the size of a large suitcase can silently handle heat and hot water, and burn at efficiency rates in the high 90s. Note that propane (a.k.a. bottled gas) is a completely different product, and is much more expensive. Pros: Low cost to install and feed. Cons: Substantial carbon emissions. Natural gas is often mined with “fracking,” a practice that requires vast amounts of water, often transported to remote locations. There are also concerns that the potentially carcinogenic chemicals used in the extraction process may contaminate groundwater. Ways to Save: $500–$1,000 rebate, and financing, through Efficiency Maine. We humans have been warming ourselves with wood for eons. Only in recent centuries did coal gain significant market share; in the mid-1900s, oil and gas pushed aside both wood and coal. 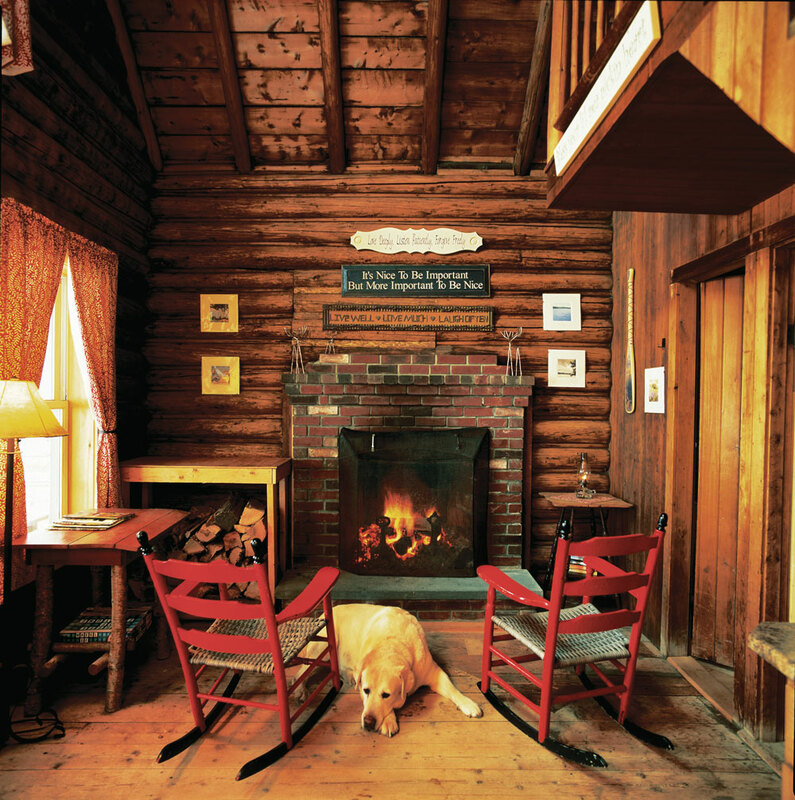 But wood remains the primary heat source for more than 10 percent of Maine homes. 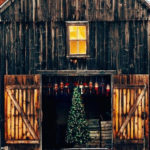 Both cord wood and wood pellets, made from compacted sawdust, are “heat local” options that support the Maine economy. But only pellets give you the option to replace an old burner with a new one that can heat an entire house without regular attention. Cons: Burning wood releases far more particulate pollution into the air than burning oil or natural gas. Pellet burners produce dusty ash and may need frequent cleaning. 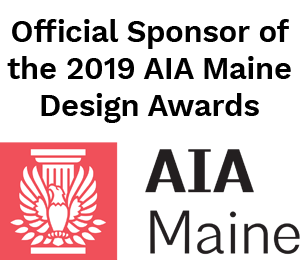 Ways to Save: Financing and reimbursement of one-third of the project cost (up to $3,000) through Efficiency Maine. Also, keep it dry! Moisture in your wood or pellets ruins its burning efficiency. A heat pump hanging on the wall may look like a misplaced breadbox, but it acts more like a brass lantern holding a magical genie who doles out wishes. It conjures heat from thin air. It can also conjure cold air from thin air, granting you air conditioning. For an encore, it can make your heating bill shrink. Even in the draftiest old house, swapping out an aged fossil-fuel system for heat pumps will usually lower your heating cost. Furthermore, the electricity heat pumps need can come from many sources, including homegrown solar and wind. Pros: Low operating cost. Room-by-room zoning. Can provide cooling. Adapts to various electricity sources. Low carbon footprint. Cons: You may need a “head” in each room, which gets pricey. And you may need a backup plan on super-cold nights. Ways to Save: $500–$750 rebate, and financing, through Efficiency Maine. Answer: D. Congratulations! You just discovered the “negawatt,” the fuel you never use in the first place. It’s free, it’s clean, it’s renewable, and it can help lower your heating bills no matter what your fuel source. Here’s how to harvest negawatts in your home. Plug holes. If you combined all the small holes in your house — a cracked basement window, a loose dryer vent, a crooked front door, a leaky fireplace damper — you might have a cavity large enough for a cat to saunter through. Hunt down the gaps and seal them with caulk, weatherstripping, or spray foam. Insulate the attic. Heat wants to rise, up through the attic and out into space. An attic should have at least a foot of cellulose or fiberglass insulation in place, and ideally more. Zone, zone, zone. Not every old house has been updated with zoned heat. But most of those houses have doors. Shut them strategically to prevent heat from rushing up the stairs or into a cold foyer. AIR-SOURCE When you see a long, white box hanging high on a wall, it’s likely an “air-source” heat pump. It’s connected to an outdoor unit that works just like an air conditioner to harvest heat from the air. DUCTLESS Means the system doesn’t require the big ducts that older heating and cooling systems use. GROUND-SOURCE A heat pump with a condensing unit that squeezes heat from the (relatively) warm earth or water. Geothermal and pond systems are still in their infancy, and installing them can cost $35,000 to $60,000. HEAD The indoor unit. Typically wall-mounted, a head may also be installed on the ceiling or as a floor console. 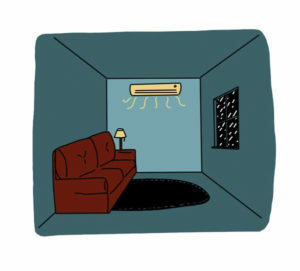 MINI-SPLIT Refers to the split between the indoor head and the outdoor unit. MULTI_SPLIT A system where an outdoor unit serves multiple heads. REVERSIBLE The system can be “reversed” with the touch of a button, to provide cooling instead of heating and vice versa. REMOTE The head can be set and adjusted with a remote control. No mention of LP gas? Here in the Adirondacks (which is much like rural Maine) its the best alternative by far especially with the formation of several Co-ops that keep the price down. LP gas is usually propane, which was mentioned. It’s usually more expensive than oil. Interesting, just got topped off yesterday @ $1.59/gal and I’m here in the Adirondacks Mountains in NY where everything is costlier. BTW; LP gas and propane are on in the same. I like that gas boilers have become popular where gas is available. As long as they have a low cost to install and feed, I’ll have no problems in my home. Since the annual heating cost is only about $1600-$2,200, I think I will be able to save money with when a service installs a gas boiler in my house. My brother wants to build his home from the ground up, and I suggested he take some time to consider what fuel source he wants to use to heat this home. 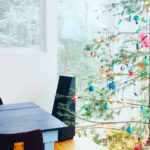 Your article had some great information regarding this, and I liked how you said that oil is a good choice for heating fuel, as it has an excellent distribution system, cheap boilers, and readily available repair services. Thanks; I’ll share this with my brother so he can choose the heating fuel bets for his future home.